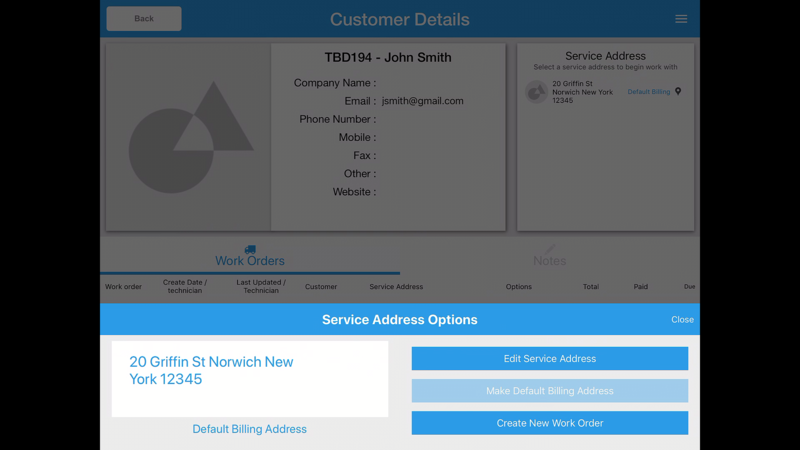 With the latest updated to Profit Rhino, we added the ability to create and track customers from our mobile tool. 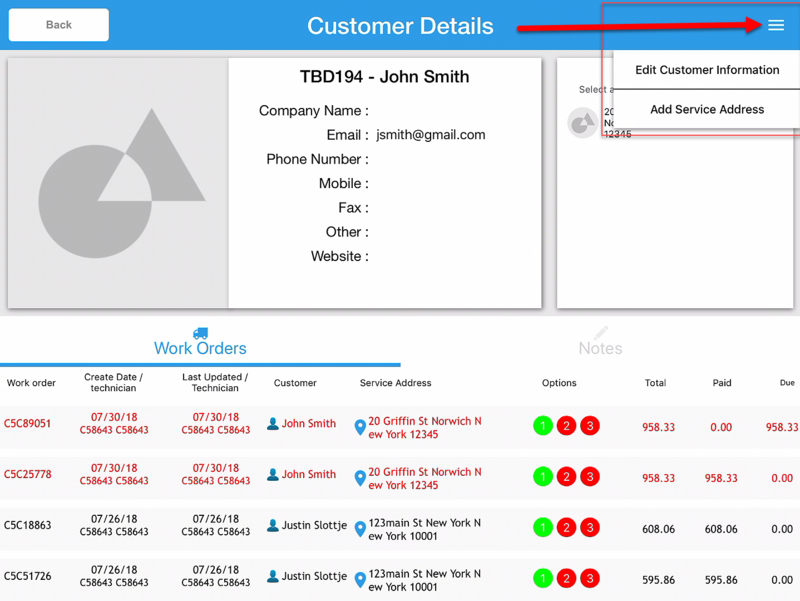 With that update, we've added an entirely new screen for viewing all of a customer's important details. 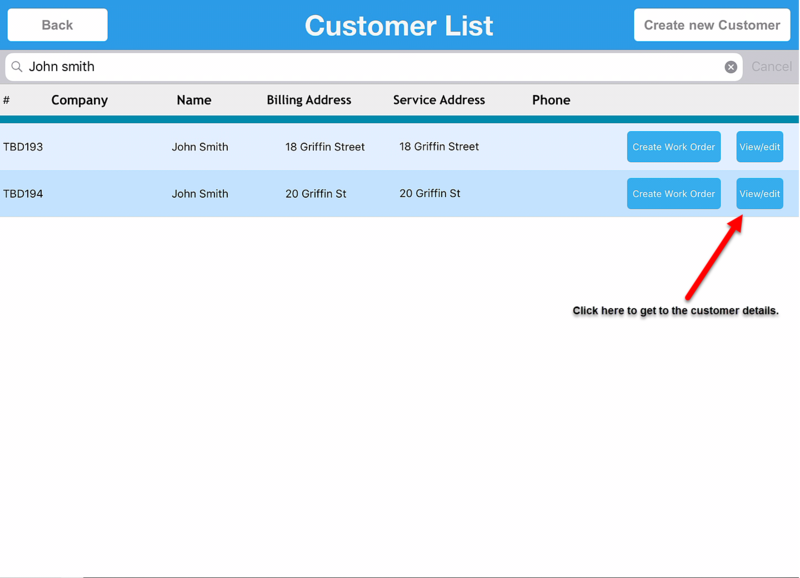 Click the customer button in the bottom right or the customer icon on the tool bar in the top. Search for the customer you'd like to view the details of and you should see two buttons, "Assign to Work Order" and "View/Edit"
First we have two blocks. The block on the left is a placeholder for an upcoming Profit Rhino feature and can be safely ignored as a placeholder. At the top you have the customers number, the customers first name, and the customer's last name. Next you'll see the customer's company name if they're a commercial customer. Next you'll see their email address. After that you'll have their phone number. Following that is their mobile number. Below that is a fax number. And website is any website URL for this customer (this would mostly be for commercial customers that would have websites). 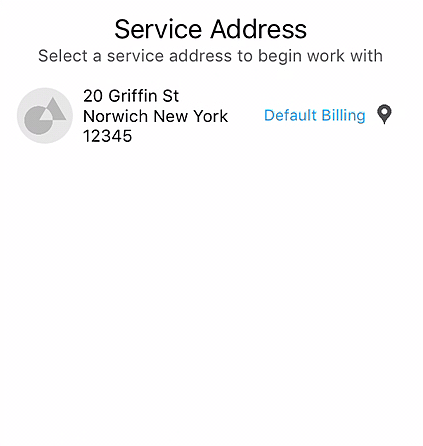 Next, we have the Service Address section. 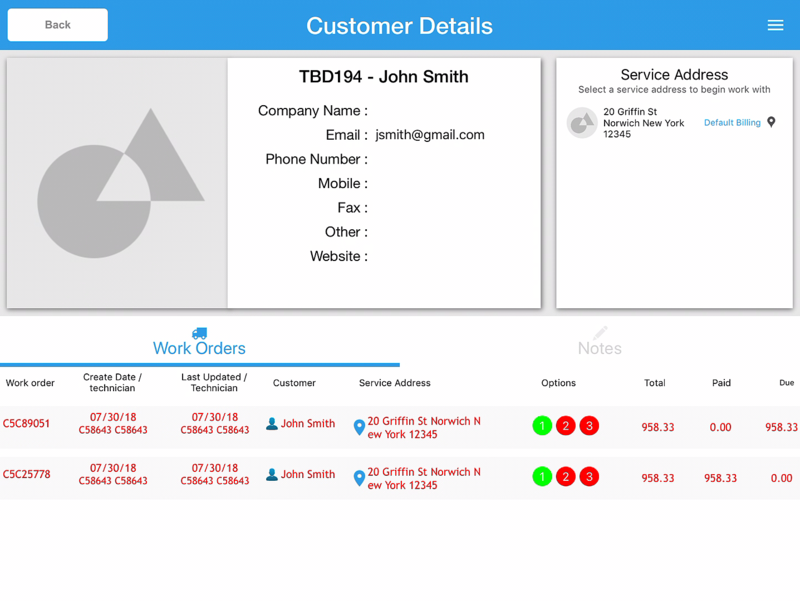 Here you'll be able to see all the service addresses this particular customer has, and can select any to create a work order with. The street, city, state, and zip code of this service address. Text indicating whether or not this is the default billing address. Create a new work order using this service address. The date this work order was created and the technician who created it. The date this work order was last updated and the technician who updated it. The customer this work order is associated with. The service address this work order was performed at. The total amount of the work order. By clicking any of these work orders, you can reopen them and edit them as needed.